Why is the ending of Beatriz at Dinner so disturbing? Because throughout the film, we have witnessed our own whiteness: normalized, privileged, comfortable. And then we are confronted with the stark reality of existential choice. White people heal ourselves and change. The first option is decidedly unappealing. The Trump-like character of Doug Strutt (John Lithgow) reeks of white fatalism, and his supporting cast stinks of white fragility. What can one do but ignore the damage and keep doing whatever provides pleasure? The second option doesn’t solve the problems whiteness has created for all other living beings and the planet. The third option is our history and our present. Are we so incapable of sacrifice, so afraid of discomfort, that we have already surrendered the future? Brilliant, unsettling filmmaking suitable to this desperate era. A must see. She was watching from a window. We exist. We resist. We rise. She waved back, then gave the universal symbol of prayer and respect. She pressed her hand to her heart. I flashed a thumbs up. Kent, Stephanie Jo and Kappen, Jeffrey A. “Interpreting and Translation.” In The International Encyclopedia of Organizational Communication. Craig R. Scott and Laurie Lewis (General Editors), Jim Barker, Joann Keyton, Tim Kuhn, and Paaige Turner (Associate Editors). © 2017 John Wiley & Sons, Inc. Published 2017 by John Wiley & Sons Inc.
Kent, Stephanie Jo. Awakening Interpretation: Broadway Sets the Stage for Linguistic Equality. Street Leverage, June 2016. Reprinted in Auslan Stage Left, June 2016. Kent, Stephanie Jo. Sign Language Interpreting’s Long Adolescence. Street Leverage, December 2015. The field of sign language interpreting has the opportunity to leave organizational adolescence behind. By connecting their emotions to the challenging tasks ahead, interpreters can foster growth and move the field to the next level. Kelly, an acupuncturist and Taichi student, draws on cases from his clinical practice in Chinese medicine and a solid comprehension of key scientific findings about anthropomorphic global warming to come to a diagnosis of climate change as a symptom of Yin-deficient heat. My Taichi teacher, Wolfe Lowenthal, asked me to write a book review for our school’s newsletter, Taichi Thoughts, so I read Brendan Kelly’s book with an eye to implications for practicing Tai Chi. 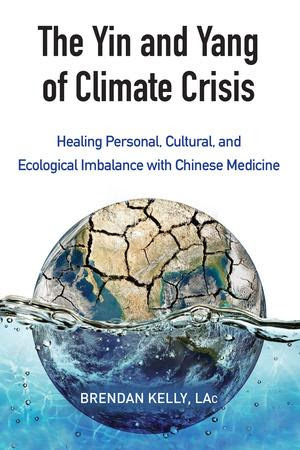 In The Yin and Yang of Climate Crisis: Healing Personal, Cultural and Ecological Imbalance with Chinese Medicine (2015), Brendon Kelly, an acupuncturist and Taichi student, draws on cases from his clinical practice based in Chinese medicine, and a solid comprehension of key scientific findings about anthropomorphic global warming, to come to a diagnosis of climate change as a symptom of Yin-deficient heat. “Heat,” he explains, “is an excess of warmth and a state of overstimulation, which can eventually cause our internal fluids, or coolant, to evaporate.” Kelly jumps back and forth between the levels of an individual human body, majority US culture, and planetary environmental conditions. This logic is legitimate from a Chinese medicine point of view, which holds that “the microcosm and the macrocosm reflect the same conditions and tendencies, with the only significant difference being scale.” Accepting this premise and Kelly’s diagnosis means most of us are operating with too much Yang, generating too much heat and thus contributing via our very bodies to the ecological processes of climate change. Brendan Kelly: “The Yin and Yang of Climate Crisis“, North Atlantic Books, Berkeley, CA. Republished with permission, includes minor revisions. Originally published in Taichi Thoughts, Volume 16, No. 3, November 4, 2015. Subscribe to Taichi Thoughts Internet Journal.